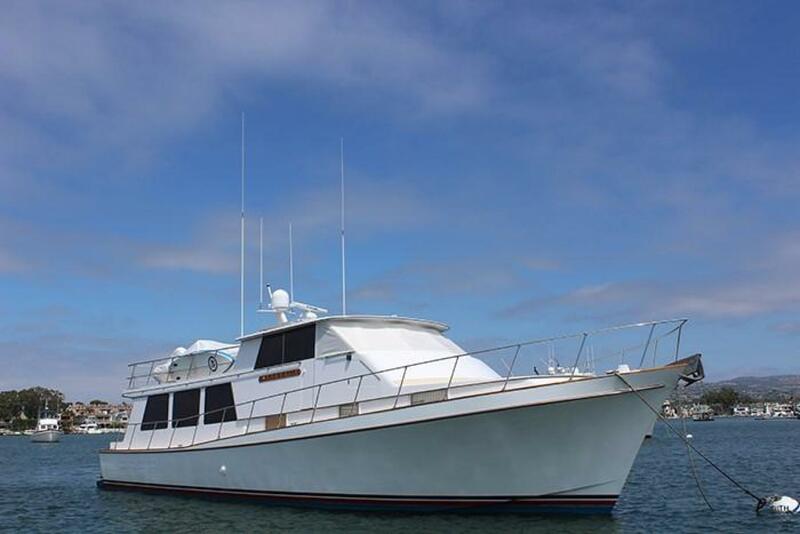 VINTAGE is an ideal West Coast family cruiser that can easily be handled by two people. 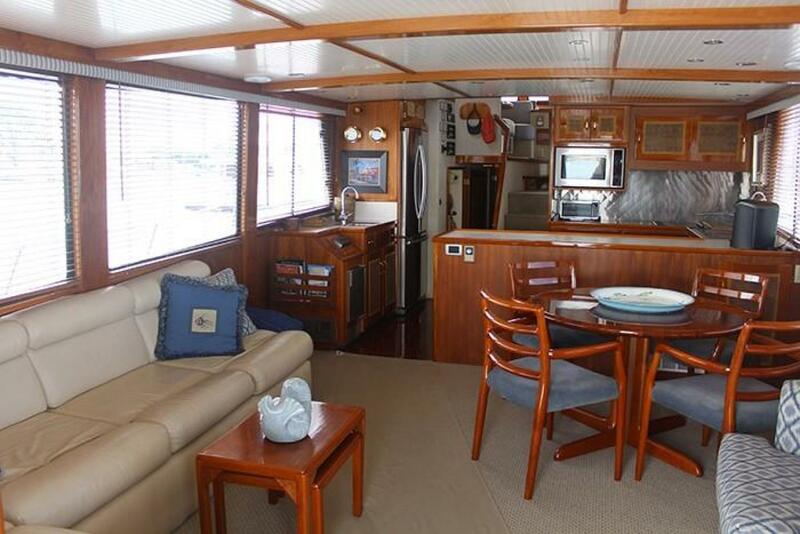 The pilothouse is exceptionally large with 360-degree visibility and plenty of seating, including a dining table. 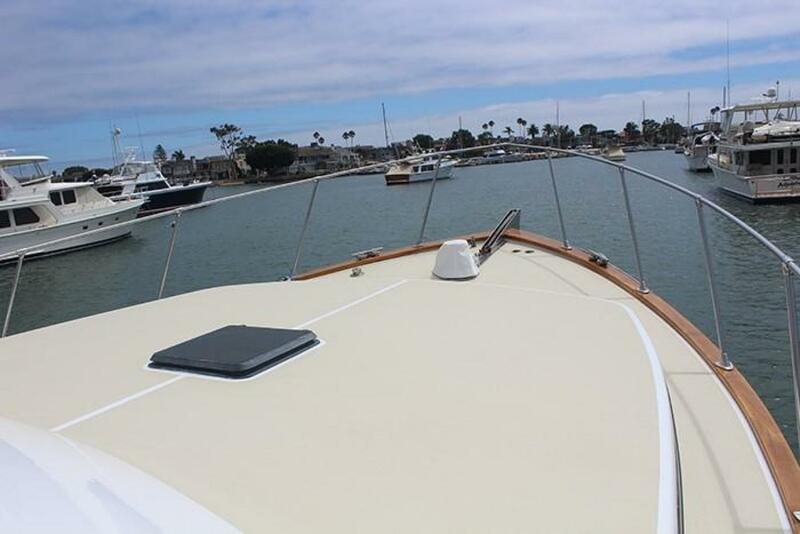 Also featured is a fully retractable sunroof. 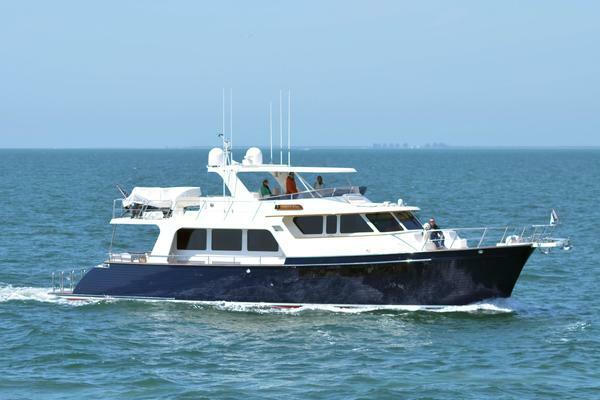 Other outstanding features include the addition of Wesmar stabilizers, anchor winch, bow thruster, 14' Caribe and motor, walk-around decks, and an exceptionally roomy salon with large windows. 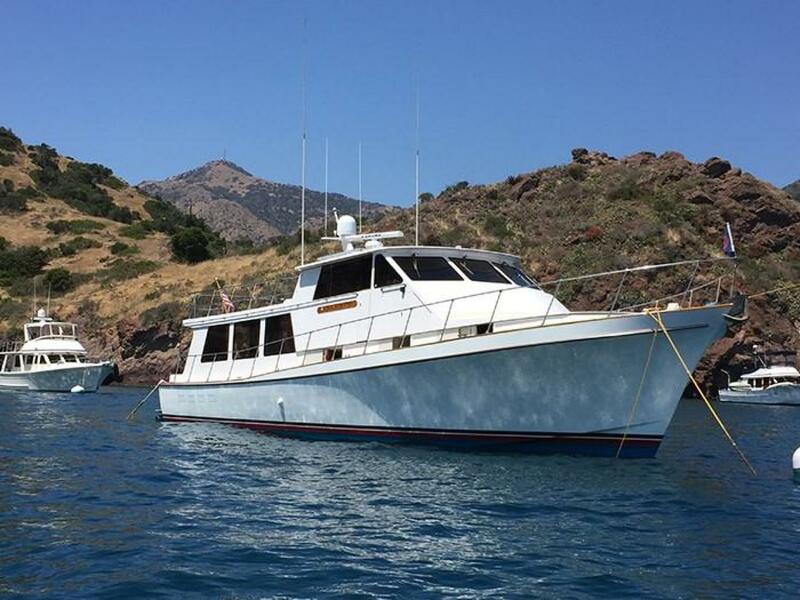 VINTAGE has always been well-maintained and equipment constantly upgraded by her very knowledgeable owners. 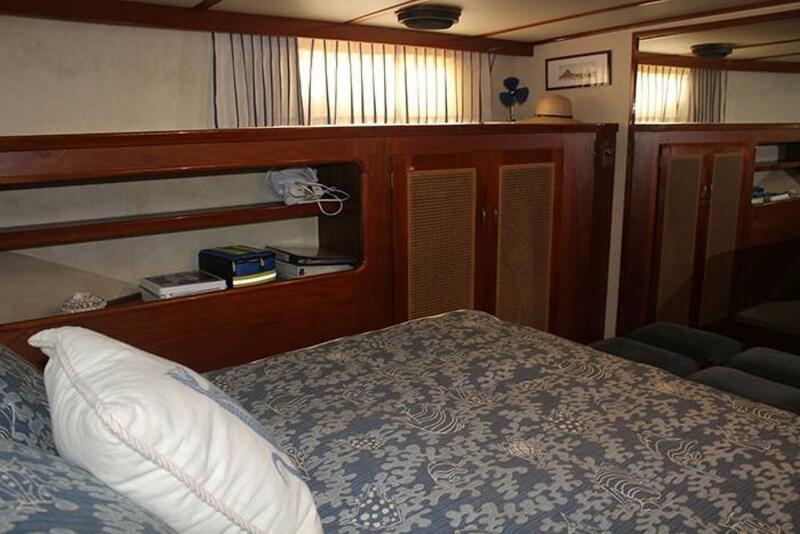 Forward, below decks is the owner stateroom with queen berth forward, built-in storage, hanging lockers and storage below berth. 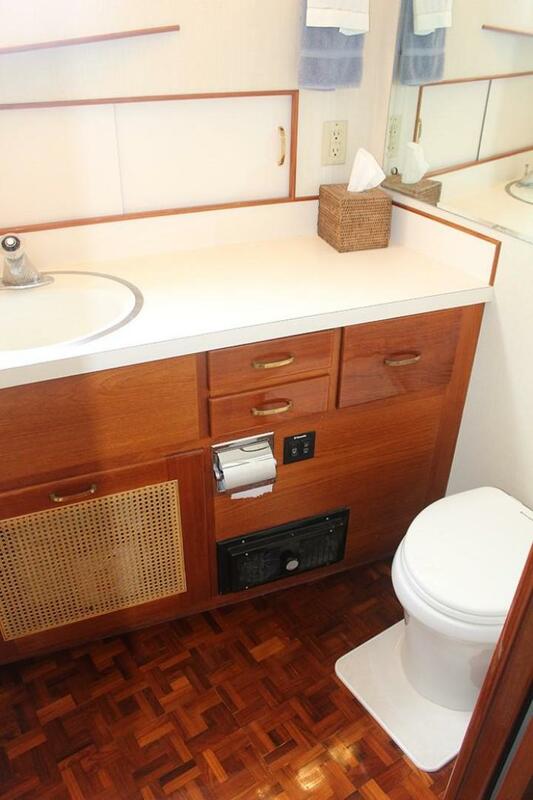 To port is owner’s private bath with stall shower. 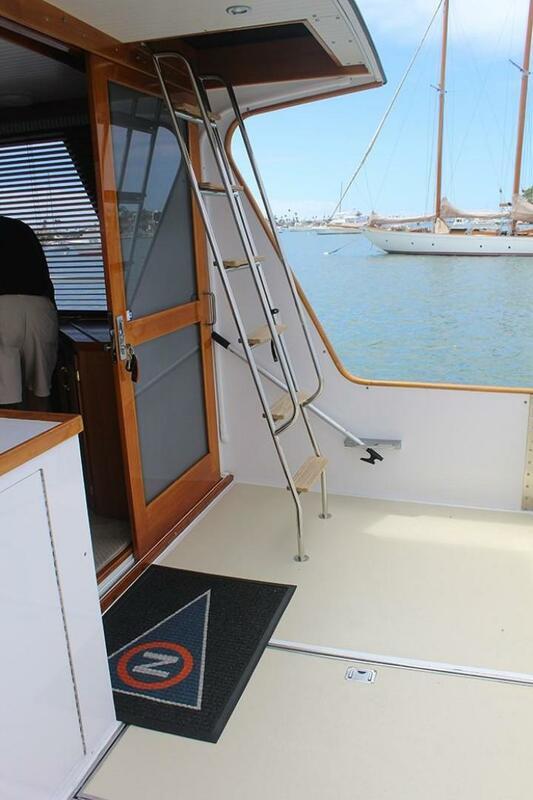 Doorway to passageway. 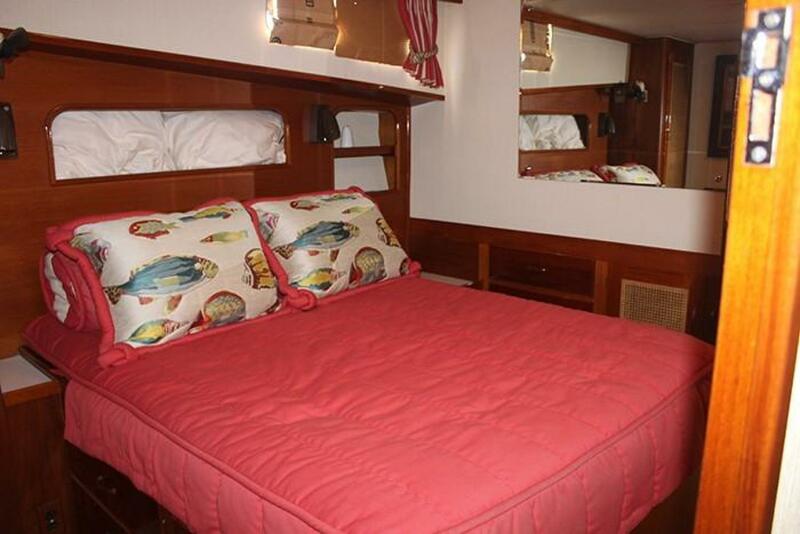 To starboard is first double guest stateroom with upper/lower berths and a hanging locker. 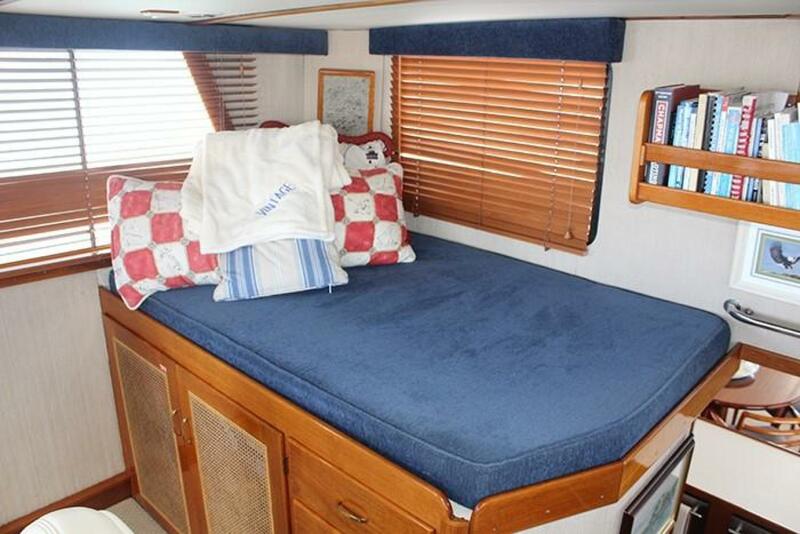 Next, aft to starboard is the second guest double stateroom with walk-around berth athwartships, hanging lockers forward and aft and door opening to engine room. 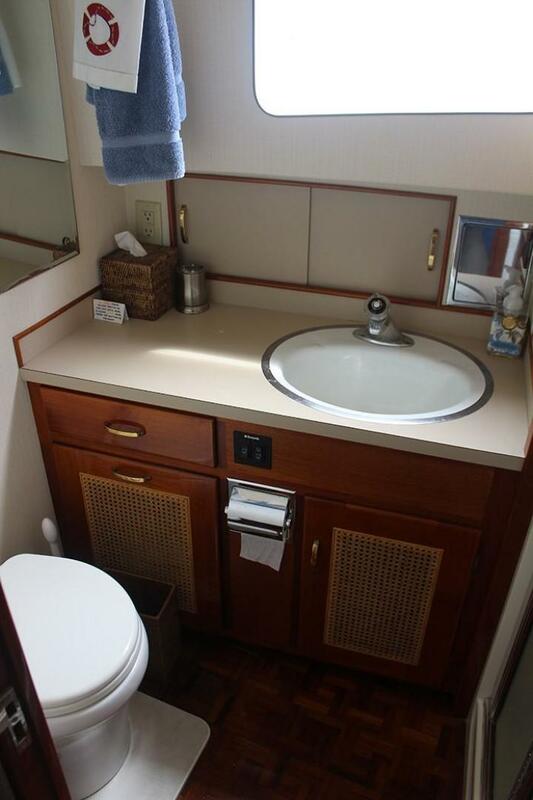 Enclosed bath to port with stall shower for use by both guest staterooms. 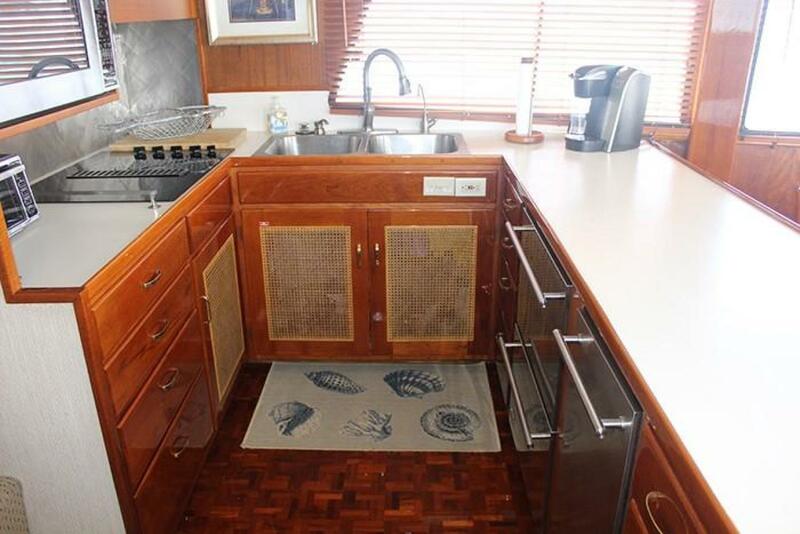 From passageway, up three steps to galley then stairs to raised pilothouse. 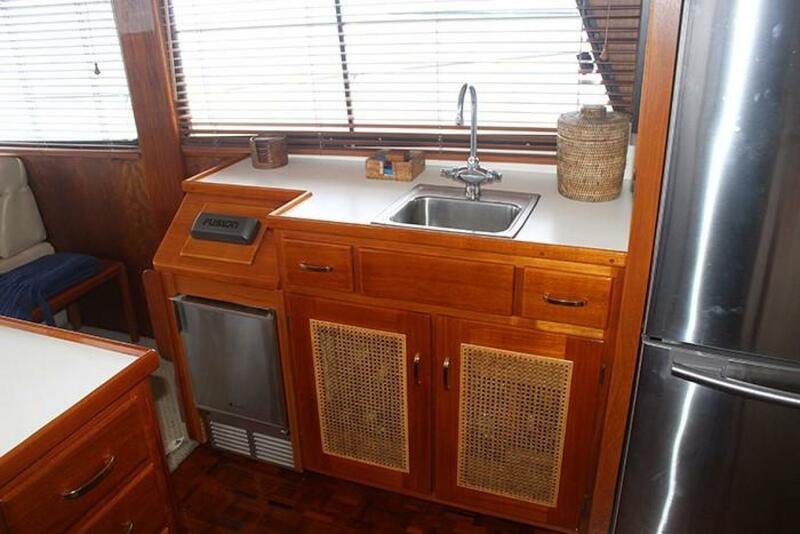 The U-shaped galley contains an electric stove top, microwave/convection oven, double sink, built-in storage, dishwasher and trash compactor. 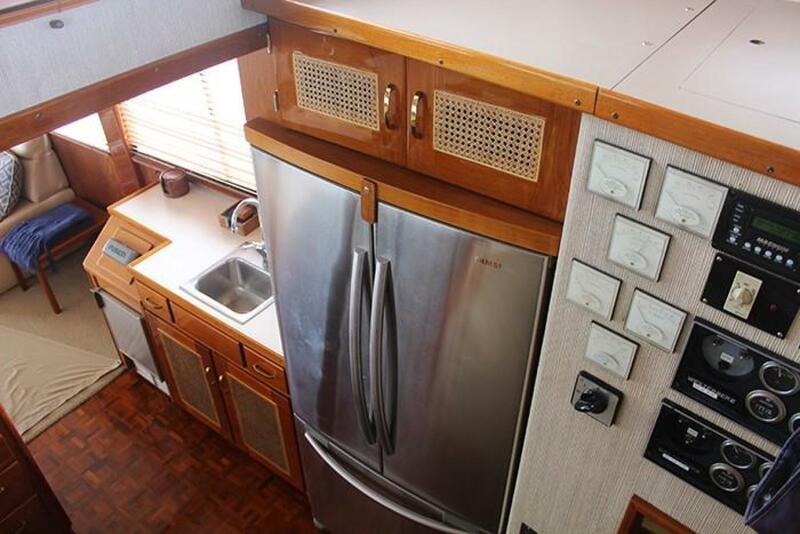 Electric refrigerator and freezer to port and wet bar. 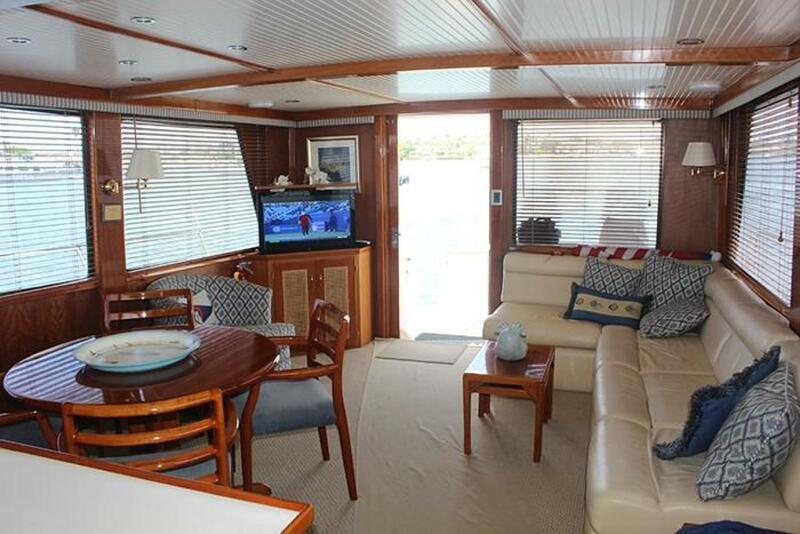 Aft of the galley is the main salon with table to starboard for six and custom built-in entertainment center aft of the table. 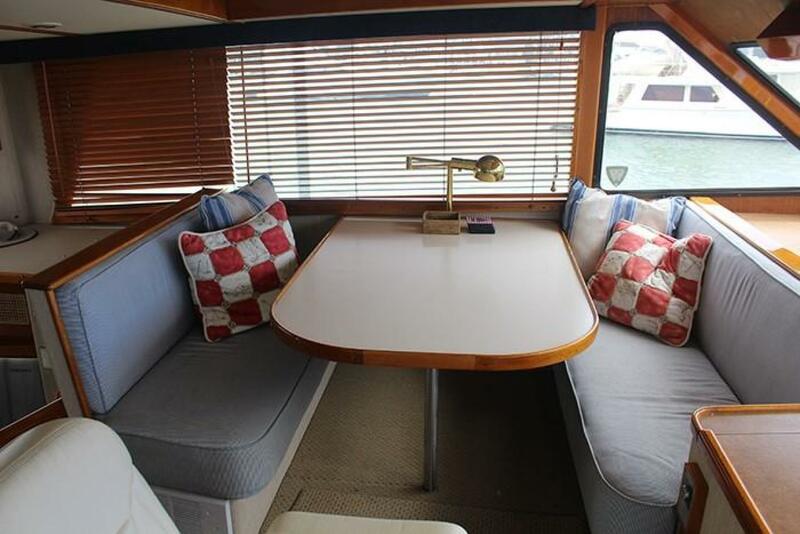 To port is a long, L-shaped, built-in sofa. 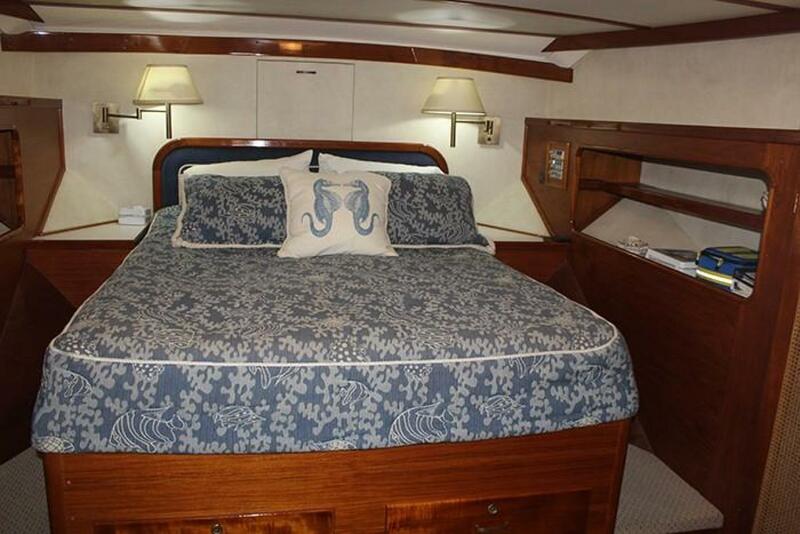 The engine space is below the main salon and is accessible from door in second guest stateroom, a flush hatch in the salon sole and door from lazarette. 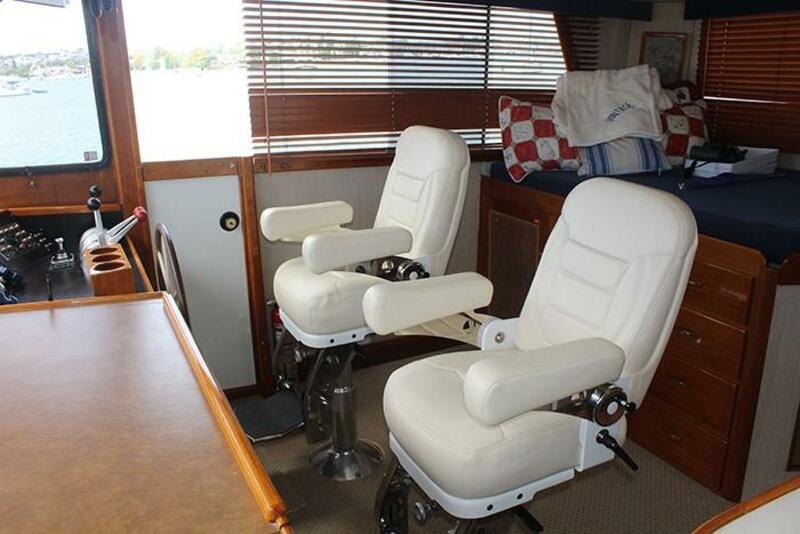 Aft from the salon is the cockpit. 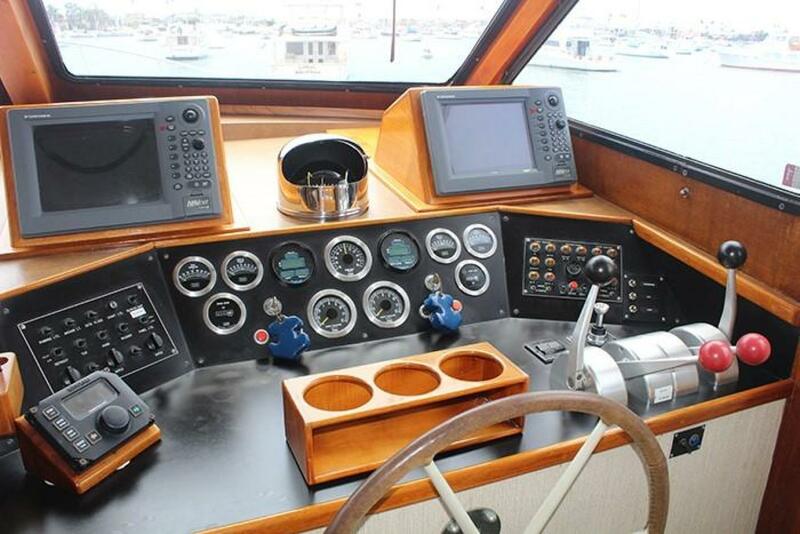 To port are helm and engine controls. 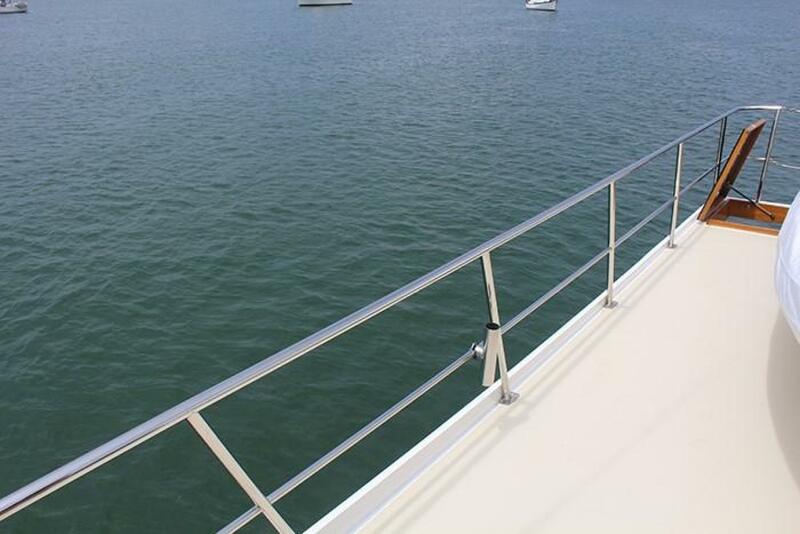 To starboard, a ladder up to the boat deck. 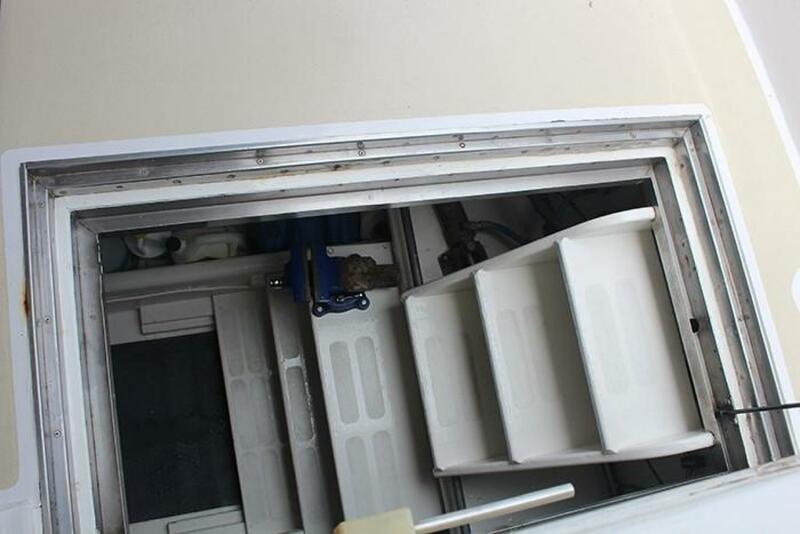 A hatch in afterdeck leads below to lazarette with a door thru to engine room. 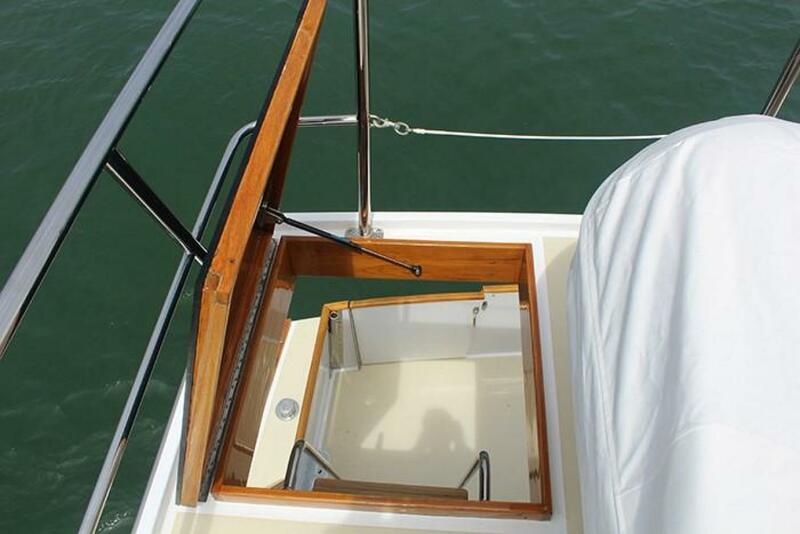 A transom door opens with access to the attached teak swim step. 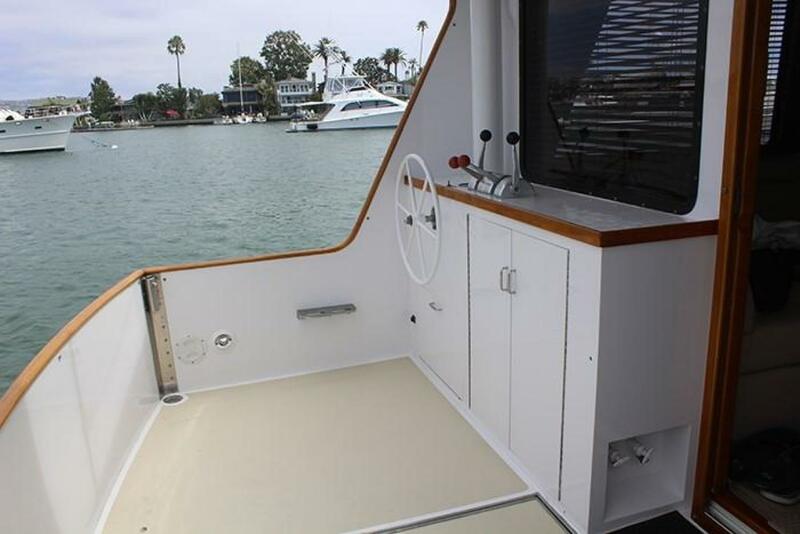 The pilothouse has helm and engine controls to starboard with helm and passenger seats. 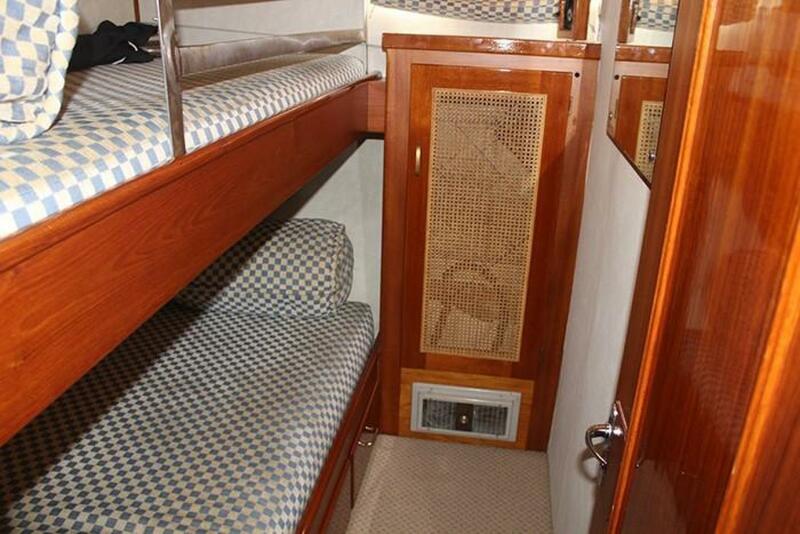 A door leads from helm to starboard side deck. 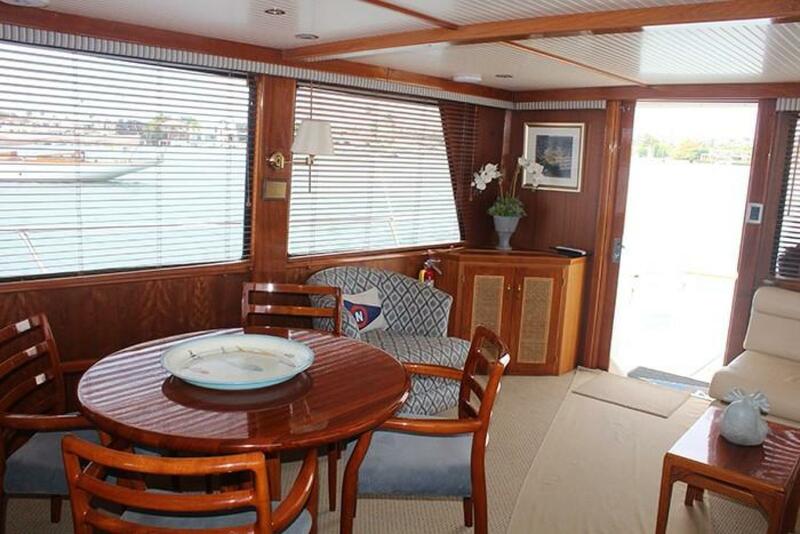 To port is a built-in dinette which seats six. 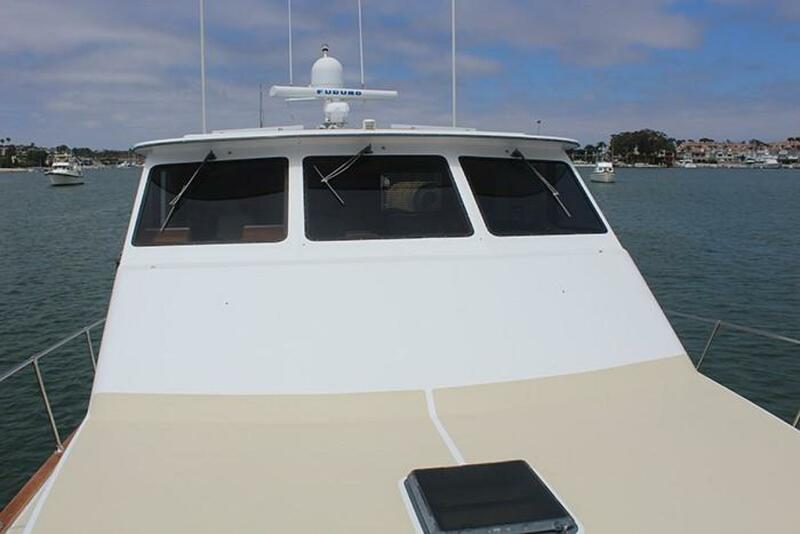 An electrically operated 4.5' x 10' sunroof in the pilothouse top and aft to starboard is a built-in storage with sea berth. 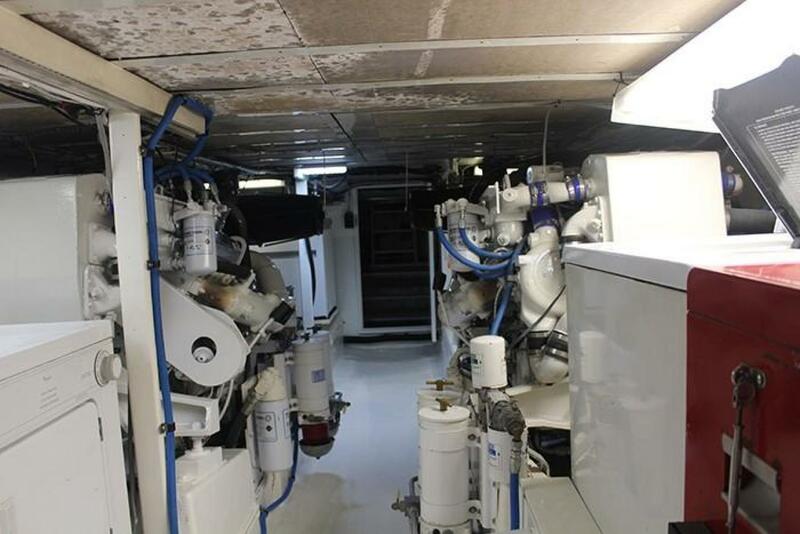 Forward to port in the engine room is a workbench and built-in storage. 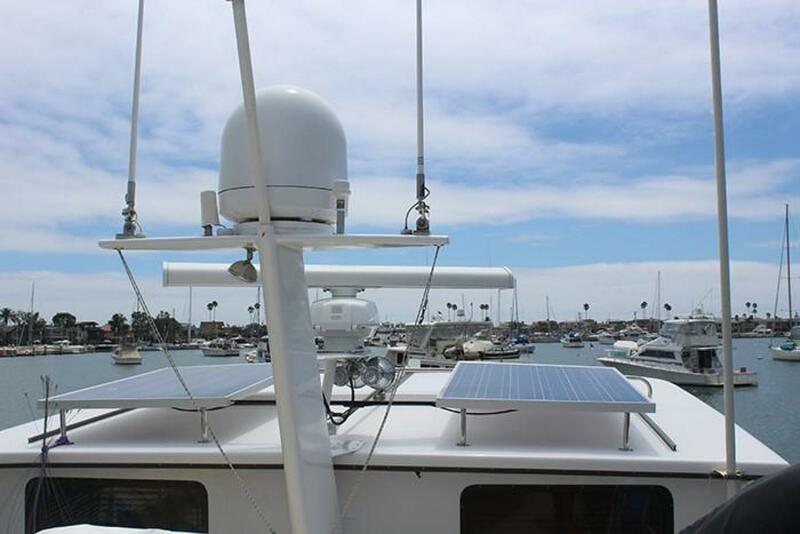 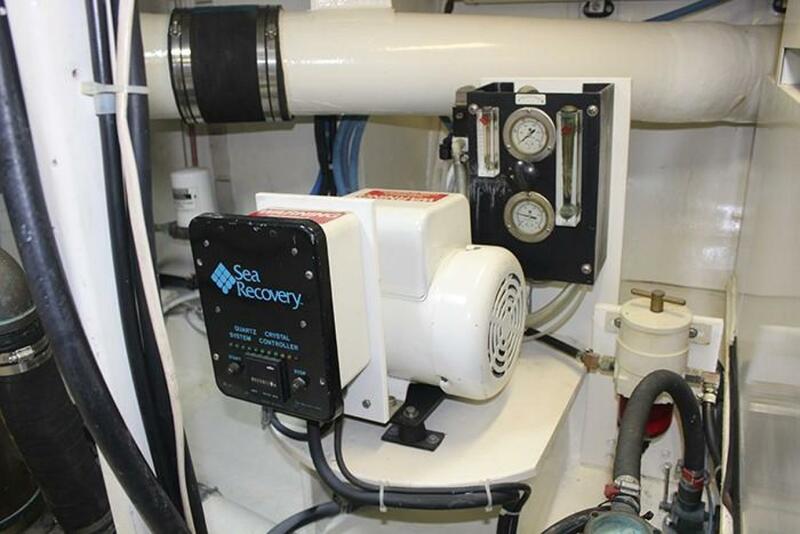 Forward in each wing are the clothes washer (port) and dryer (starboard), main engines with fuel tanks outboard and aft to starboard is the 20kW Onan and to port the 8.0kW Onan. 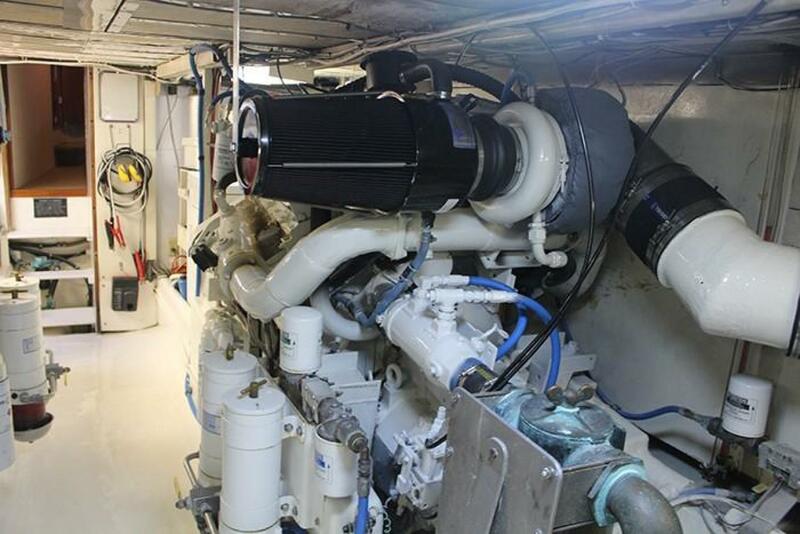 Both generators are in sound shields. 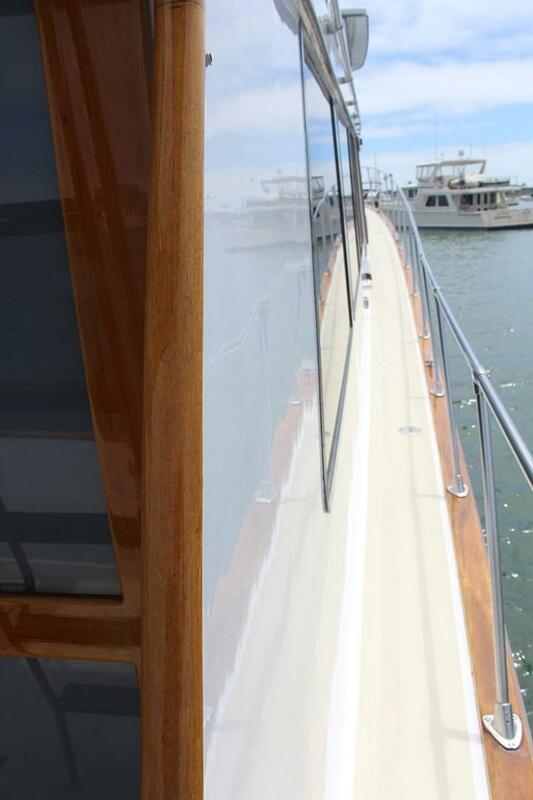 An aft door opens to the lazarette. 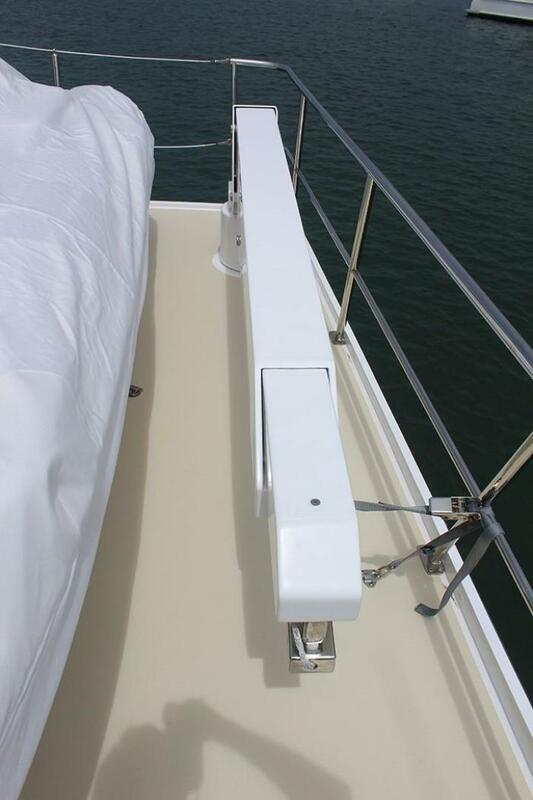 Four-blade bronze propellers, 32" x 28"